Patrick Coppola is a writer, independent filmmaker, and actor. 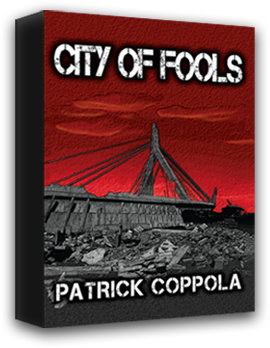 With over a dozen film and television scripts to his credit, CITY OF FOOLS is his first novel. ©2012 Coppola Entertainment. All rights reserved. Powered by Boston Business Design Solutions.